Litter Starsiberia T... birth date 16.02.2019. Male ny24, ny24, ny24; female ny24. Starsiberia Tayna female ny24, available for breeding. Starsiberia Taganay male ny24, available for breeding. Starsiberia Talant, male ny24, available. Starsiberia Topaz male ny24, available. Starsiberia Triumph male ny24, available. Litter Starsiberia S... birth date 28.10.2018. Male ny22, ny24, ny24; female n23. Dad: Ester-Ley Nektar n23. Mom: Zlata Zarskaya Rodnja ny 22. Starsiberia Sever (Север) male ny22. Starsiberia Sokol male ny24, reseved. Dad: Ester-Ley Nektar n23. Mom: Starsiberia Verona ny 22. Starsiberia Raushaniia, female ny24, available. Starsiberia Roshni, female n24, rezerved. Starsiberia Ruzi, male n24, rezerved. Starsiberia Ruzal male ny24, rezerved. Dad: Ewan Noche Blanca n22. Mom: Zlata Zarskaya Rodnja ny 22. Starsiberia Olivia female ny22, Reserved. Starsiberia Nerida ny24. female, Remains in the cattery. Dad: Ewan Noche Blanca n22. Mom: Starsiberia Verona ny 22. Starsiberia Muscat, male n22, Reserved . Starsiberia Milory, female ny22, Reserved . Starsiberia Malina, female ny22, Reserved . Starsiberia Ilona, Female n24, available. Starsiberia Iolanta female а24, available. Starsiberia Image, male n22, Reserved. Starsiberia Igloo, Female ns24, Reserved. Starsiberia Ice tea, Female ns22, Reserved. Starsiberia Inara, Female n22, Reserved. Litter Starsiberia Z ... birth date 15.11.2016. Male n22 n24 ns24 female ns22 ns24. Litter Starsiberia Zh ... birth date 20.04.2016. All the kittens of this litter departed to their new homes. 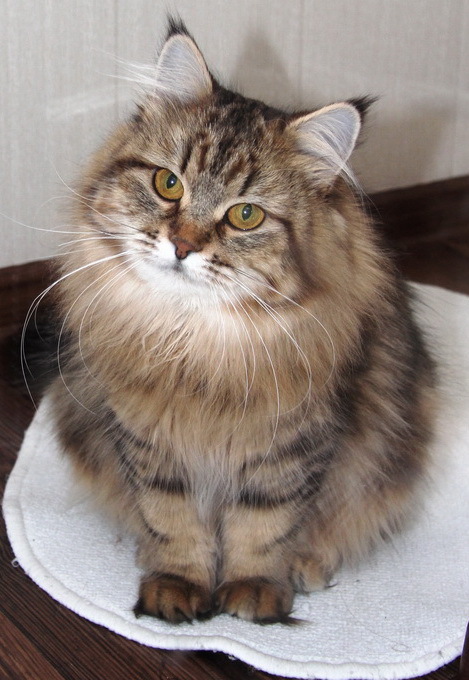 Starsiberia Zhaisan, male n24, stays in cattery. Litter Starsiberiya E ... birth date 24.11.2015. Starsiberia Elisava female n2209, stays in cattery. Starsiberia Darius n22, male for breeding and show. Available. mam: Taurus Tonica n22, dad: Amurin Filippus n22 09. Boy ns22, Boy ns24, Boy ns24, Boy n22 09, Girl n24 09. Mom: Vorozheya MarblSun-Taurus n24 and dad: Amurin Filippus n22 09 are happy parents. Taurus Tonica n22 and Amurin Filippus n22 09 are happy parents.